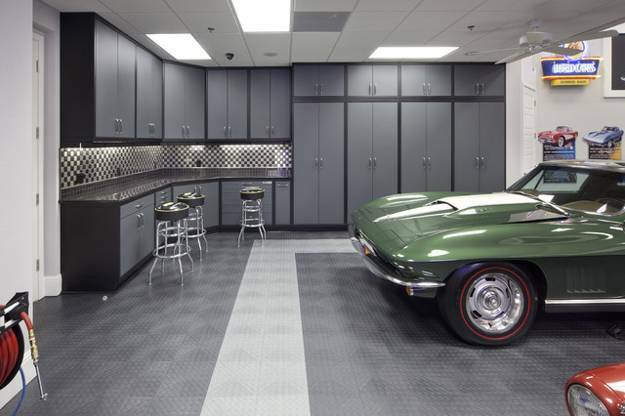 Modern garages can be well organized, clean and convenient storage rooms. 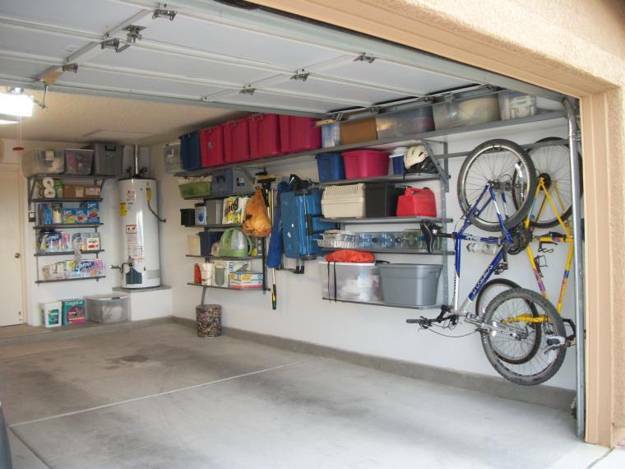 Garage shelves and racks help organize personal belongings while allowing to park a car. 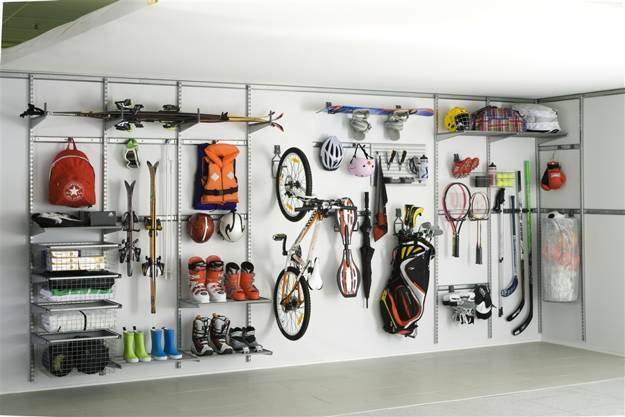 Wall shelving units and racks organize storage spaces and offer wonderful, stylish and expensive or cheap and simple storage ideas that transform modern garages and create pleasant and attractive interiors. 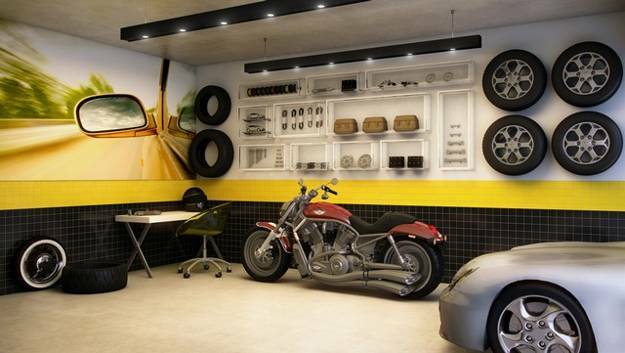 Lushome shares attractive and functional storage ideas that may help to design your garage walls. 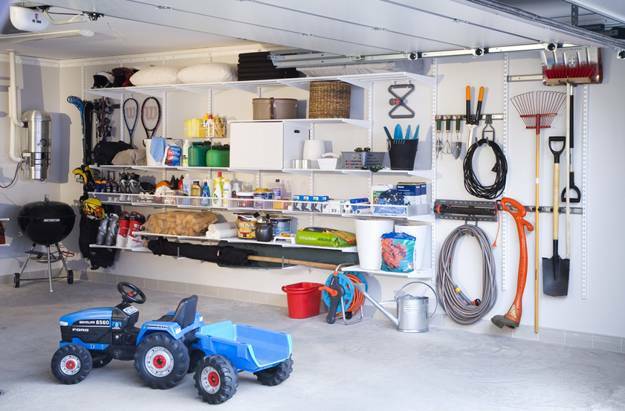 Storage cabinets, modern shelving units, racks, pegboard systems, large and small containers and baskets are popular storage ideas that help create comfortable and neat garage interior design. 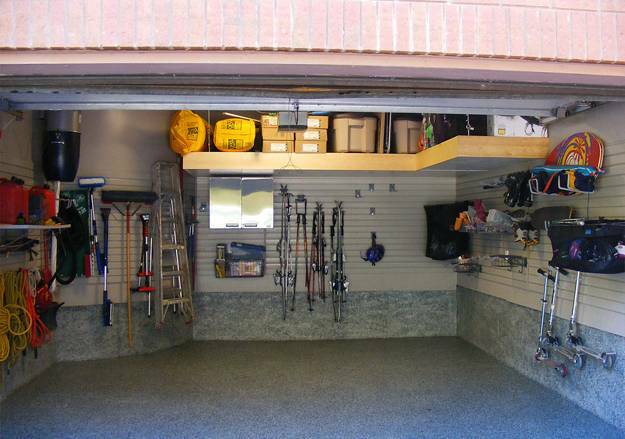 The material of wall shelving units can determine how to design your garage storage. 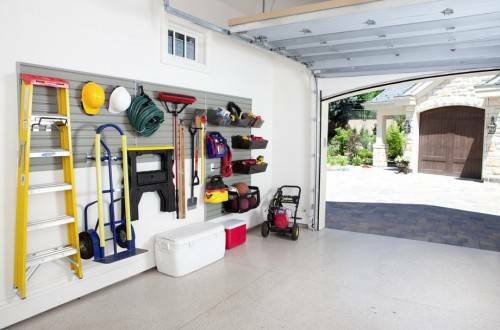 Garage shelves that are simple and durable are ideal for garage storage spaces. 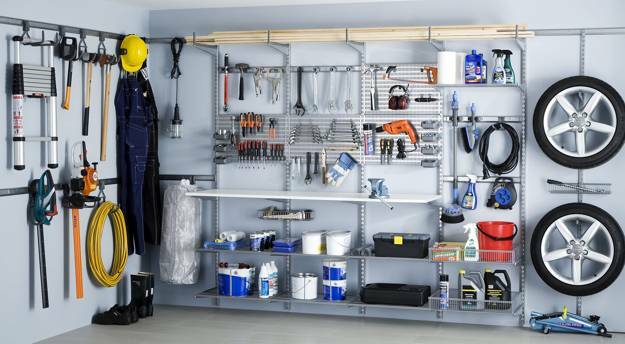 Wall shelving units, made out of plastic or metal, wooden shelves and built-in storage cabinets can be combined with storage furniture on wheels to improve garage functionality. 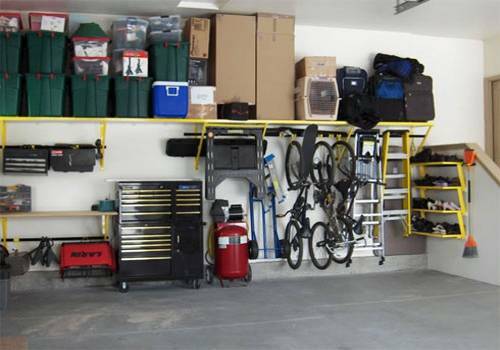 The choice of the garage shelves and racks, their material and design depend on what types of items you plan to store on walls and shelving units. Heavy items require stronger materials. Large objects, over-sized items and items in awkward shapes need more space and big containers. 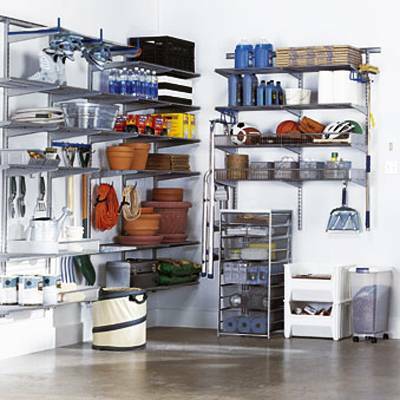 Metal shelving units and racks are great for very heavy items. Made with plastic, shelves are weaker, but suitable for sport equipment and gardening tools. Wooden shelves are durable and strong, and can be used for many items also. 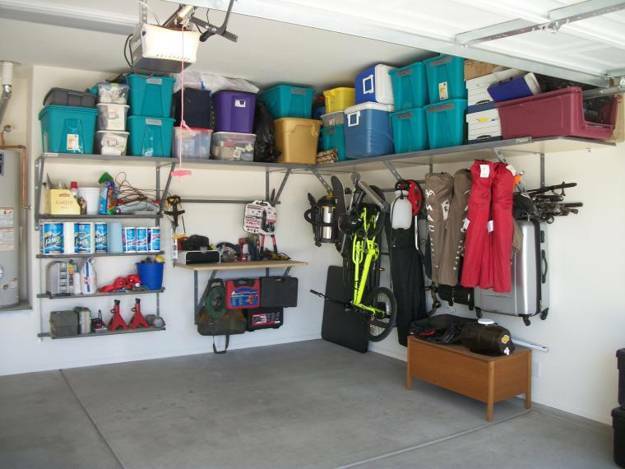 There are three main types of garage shelves that are generally available in the market for garage storage and organization. 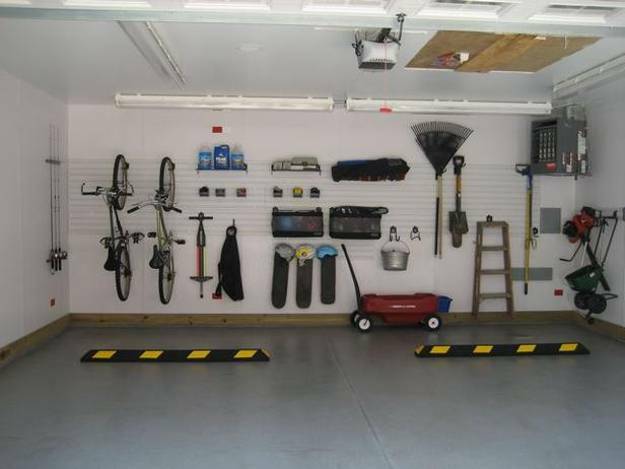 They come in many different designs, sizes and prices, and it is easy to find the best garage shelving systems for every garage interior design. 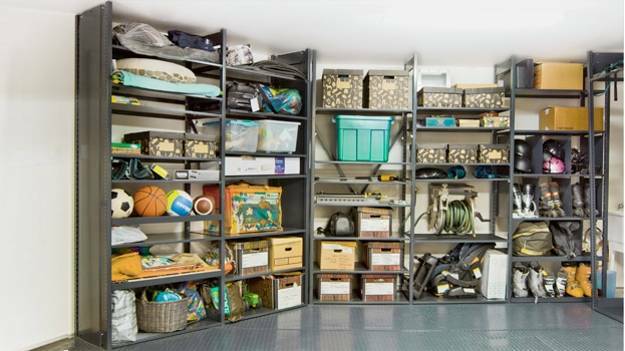 Each type of storage shelves has its own advantages and disadvantages. Metal shelves stand on the floor and provide a very strong structure to support more weight without breaking down. 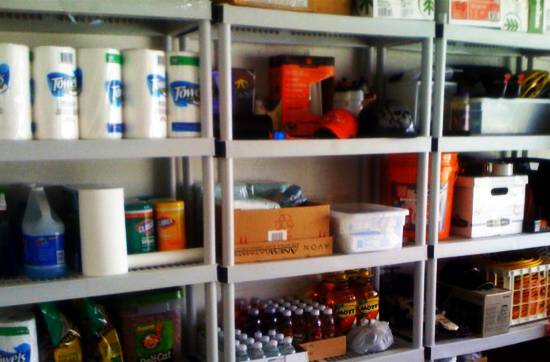 Metal shelving units are very durable, convenient to use and require no maintenance. 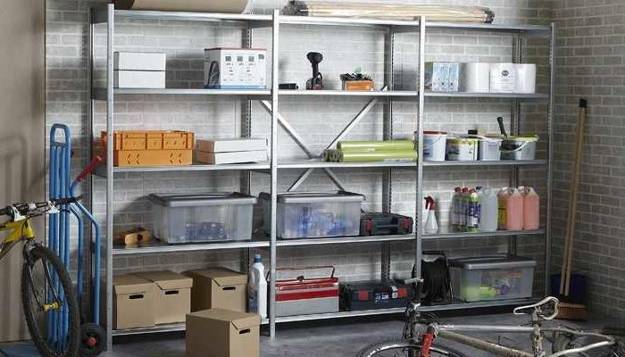 Metal shelves are very cost-effective in the long run. 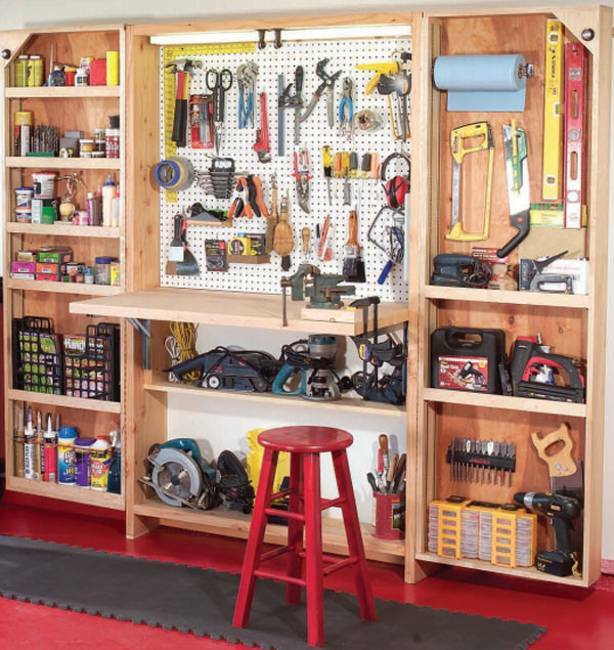 These storage shelves have the ability to withstand the weight of heavy tools and equipment, can be moved easily allowing to rearrange the garage storage spaces and improve the functionality of interior design. 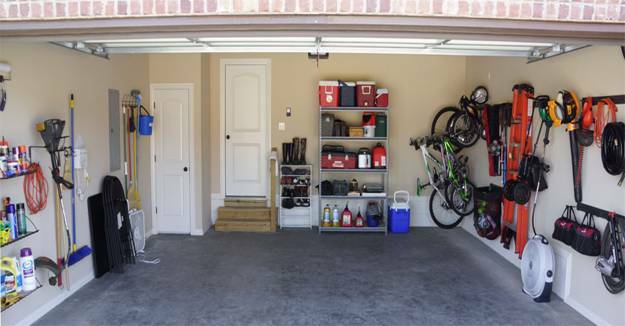 Wooden shelves for garage storage are a good choice also. Wooden shelving units can be freestanding or mounted on the walls. 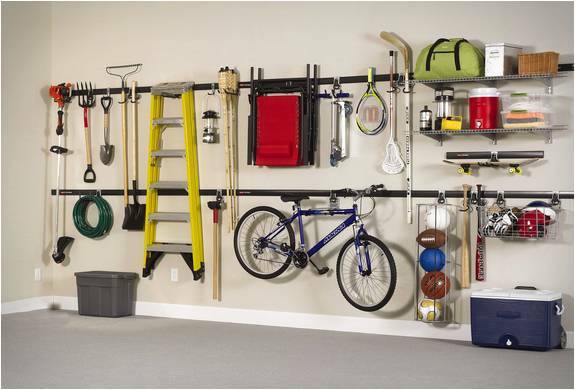 Built-in storage cabinets and wooden wall shelves are space saving ideas and great storage solutions to maximize valuable garage spaces. Wooden shelves look attractive and timelessly elegant. 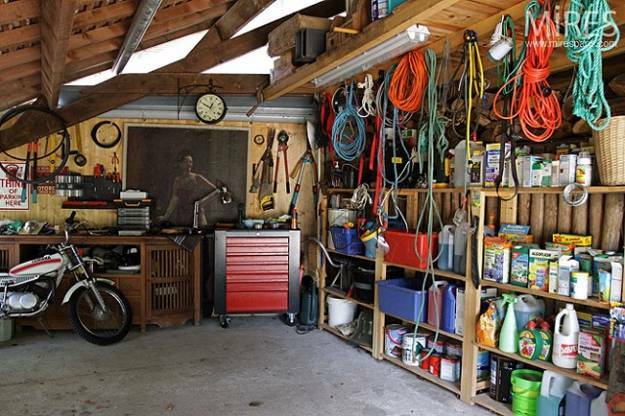 but these garage shelves can get damage by workshop tools and get stained. Wooden shelves have a shorter lifespan when they are not well-maintained and kept away from moisture. Plastic shelves are light and convenient, ideal for light items. They come in all colors and shapes and can be easily hung on the walls or under the ceiling, offering space saving ideas for garage storage organization and attractive interior design. 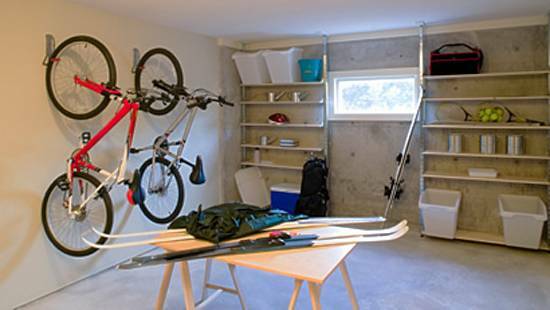 The main advantage of light wall shelves is that they maximize garage spaces and create visually bigger and lighter garage interiors.